This bohemian chic wedding took place in Steamboat Springs, Colorado. It had an antique theme which resonated through the decor and details, from the lacy dresses to the cool cowboy boots. 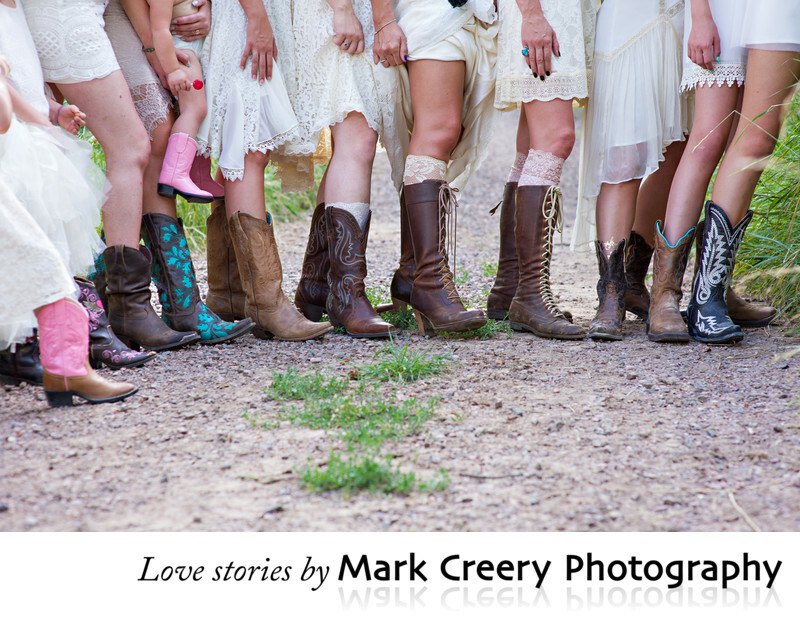 This photo is of the whole bridal party, including two junior bridesmaids who led a miniature horse down the aisle, to the two little flower girls (the ones with the pink boots). One was getting so hot that her mom took her dress off for a while and pacified her with a lollipop that you can see in the photo.